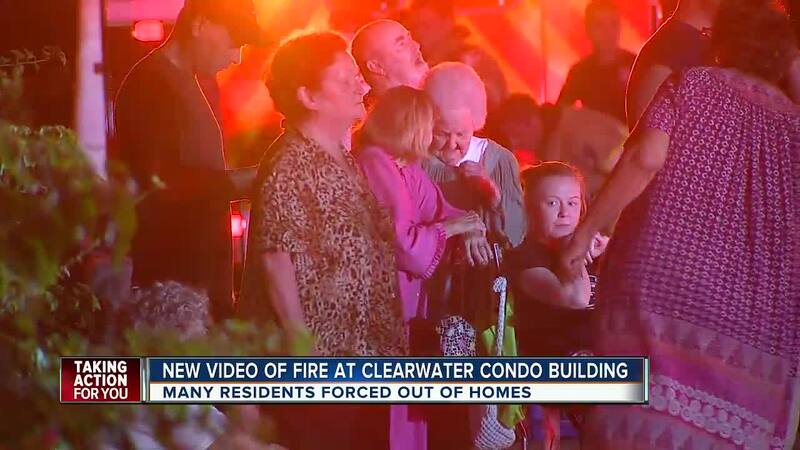 CLEARWATER, Fla. — A three-alarm fire at a 55+ condo community has caused 18 residents to be removed from their homes, according to Clearwater Fire & Rescue. 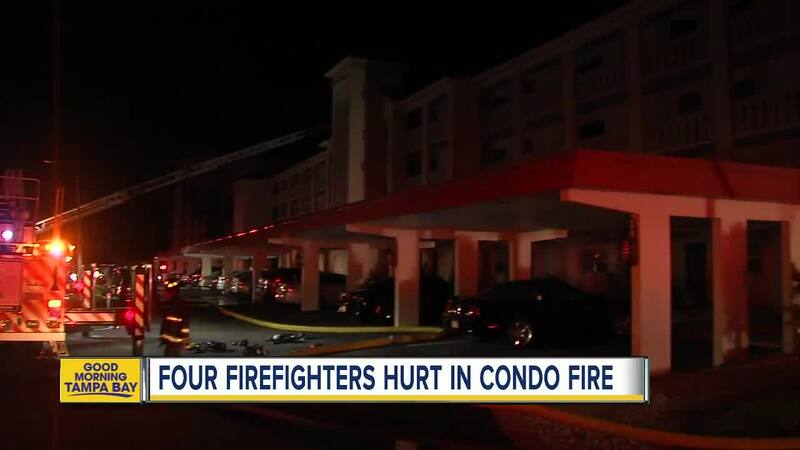 Firefighters rushed to the Imperial Cove Condominiums, located on U.S. 19 North, early Tuesday morning after receiving a call just before 3:30 a.m. According to officials, the fire was located in the attic area of Building 8. Four condo units received fire damage and two additional units received water damage. Clearwater Fire & Rescue said they are still investigating the cause of the three-alarm fire. Four firefighters received minor injuries and were treated on scene. A total of 18 residents from seven units have been displaced. Red Cross is en route to the scene to assist those residents. Imperial Cove Condominiums is a 55+ condo community near the waterfront in Clearwater.